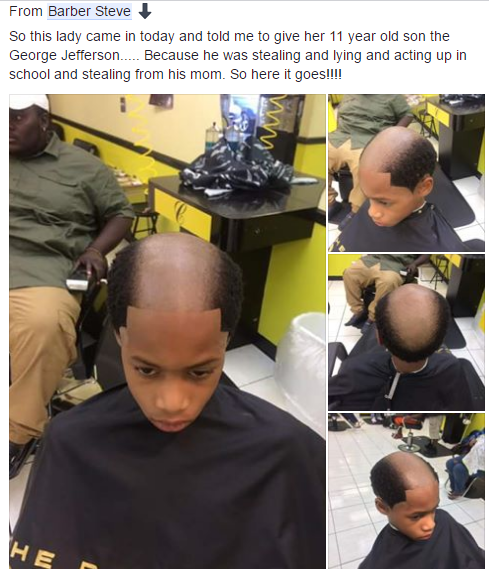 A barber shared this images which has gone viral with the caption "So this lady came in today and told me to give her 11 year old son the George Jefferson..... Because he was stealing and lying and acting up in school and stealing from his mom. So here it goes!!!!" Are you for or against this kind of punishment?